Women’s Health West is an equal opportunity employer. We employ women with a range of qualifications, skills, employment and life experiences as part of our diverse staff team. 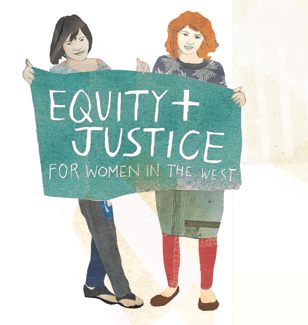 Women’s Health West is committed to achieving equity and justice for women in Melbourne’s west. We provide services that encompass every level of response to family violence: including primary prevention, intervention and response. We also deliver a range of health promotion programs. We work within a feminist framework, supporting women and their children to live safe and healthy lives. We are a child safe organisation and employment is subject to the satisfactory completion of a national Police Record Check and a Working with Children Check. The role of the Family Violence Case Manager – Outreach is to work with women and children within the western metropolitan region to develop safety strategies and case plans that include housing, legal, health and other assistance to support their long-term safety via a strength based and client-focused case application. Provide short and medium-term case management support to women and their children experiencing family violence in accordance with WHW policies and procedures. Work closely with internal and external providers and stakeholders to ensure client needs are being met. Work within and foster a culture of innovation, collaboration and respect, working with the integrated family violence services stream to achieve WHW’s vision of equity and justice for women in the west. For further information, please contact WHW’s Manager Counselling and Case Management – Tess La Fontaine on 9689 9588. All applicants must meet the selection criteria in a brief cover letter (PD link provided below). Applicants who do not meet the selection criteria in their application will not be considered. Only shortlisted applicants will be contacted. There is currently no close date for this position, please apply as soon as possible. Women’s Health West is seeking nominations from interested members to join the board of directors. Do you want equity and justice for women? Do you live, work or study in Melbourne’s West? We actively encourage and support all women to have a voice in local leadership and decision making and seek the richness that diversity of age, cultural and linguistic background, religion, sexuality and disability can bring to our organisation. We encourage applications from women who represent the diversity of our region, including Aboriginal and Torres Strait Islander women, and women who speak languages other than English. Our mission is, to work together for change by supporting women and their children to lead safe and healthy lives and change the conditions that cause and maintain inequity and injustice. We do this through the provision of family violence services and health promotion activities. As a volunteer board director, you would join a diverse and respected group of nine directors who meet up to 10 times per year in Footscray, as well as representing the board on at least one task group. Directors might also attend events and activities at or on behalf of Women’s Health West from time to time. We ask for your commitment to our strategic goals, and for your time and energy. We are particularly interested in hearing from women with previous board experience who have specific skills and experience in one or more of finance, risk management, fundraising, people and culture, human rights/feminist advocacy, equity and inclusion, and/or an understanding of our sector/organisation. You will enjoy stimulating discussion and the support of a great team as we work together to achieve our ambitious goals. If this sounds like you then we would love to hear from you. Please phone Julie Veszpremi on (03) 9689-9588. This is an exciting opportunity for a woman who is passionate about improving the health, safety and wellbeing of Aboriginal and Torres Strait Islander women. In this unique role, you will have the opportunity to work directly with community women, while also creating meaningful change inside our organisation, by working on our Reconciliation Action Plan. The Health Promotion Coordinator – Aboriginal women’s health and wellbeing contributes to the implementation of projects that increase the health, wellbeing and self-determination of Aboriginal and Torres Strait Islander women and girls in Melbourne’s west. She also coordinates WHW’s Reconciliation Action Plan (RAP), with support from a working group and others. This is a fixed term (14 months), full time position. The role is paid at Women’s Health West’s Enterprise Agreement Level 5. Pay point depends on experience (ranging from $74,000 to $79,000) + 9.5% superannuation and generous salary packaging options. send us your CV/resume and a covering letter telling us why you’re suitable for this role. include three referees, including your most recent line manager. For further information, please phone Susan Timmins, Team Leader on: (03) 9689 9588. Applications close 9am 24 April 2019. Interviews for this role will be held on 3 May 2019. The Intensive Case Manager – Disability position is a part time (0.9 EFT), fixed-term position (2 years). It is positioned within the Counselling & Case Management team, and reports to the Team Leader – Case Management. The Intensive Case Manager – Disability is responsible for providing concentrated case management to women with disabilities experiencing family violence. The successful incumbent will work closely with all Integrated Family Violence Services staff and external service providers providing advice and secondary consultation on case management. This position requires experience in working with women with disabilities. The role is paid at WHW EA Level 5, pay point depends on experience (ranges from 74K to 78K per annum) + 9.5% superannuation and salary sacrificing. Only applications that respond to the key selection criteria, found in the attached position description, will be considered. Please send confidential applications to recruitment@whwest.org.au. For further information or any assistance applying, please contact People & Culture Coordinator (Gracie Murrell-Clark) at 9689 9588. Aboriginal and Torres Strait Islander women are encouraged to apply. Applications close COB 22 April 2019. The Intensive Case Manager position is a part time (0.9 EFT), fixed-term position (2 years). It is positioned within the Counselling & Case Management team, and reports to the Team Leader – Case Management. The Intensive Case Manager is responsible for providing concentrated case management to women with disabilities and / or women with multiple and complex needs experiencing family violence. The successful incumbent will work closely with all IFVS staff and external service providers providing advice and secondary consultation on case management.